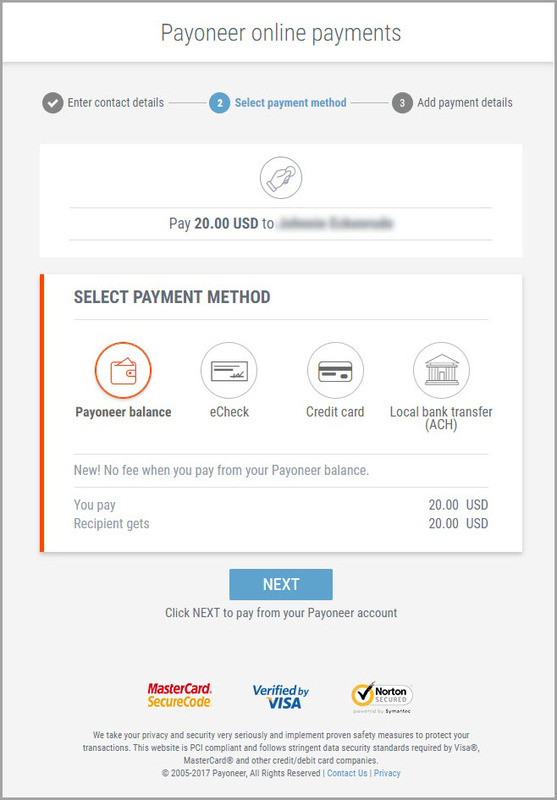 Getting paid by other Payoneer users? 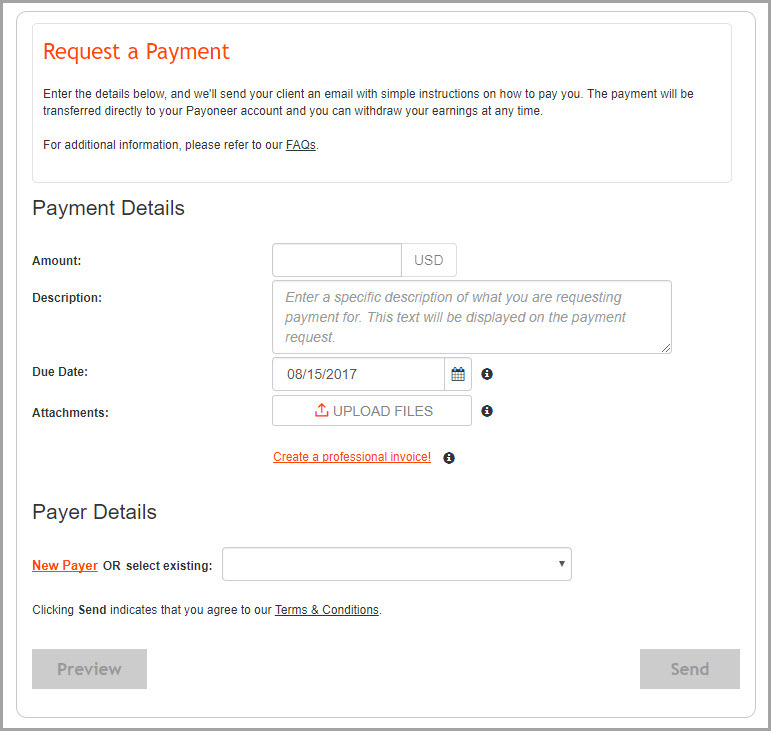 Get access to all of Payoneer’s billing tools! 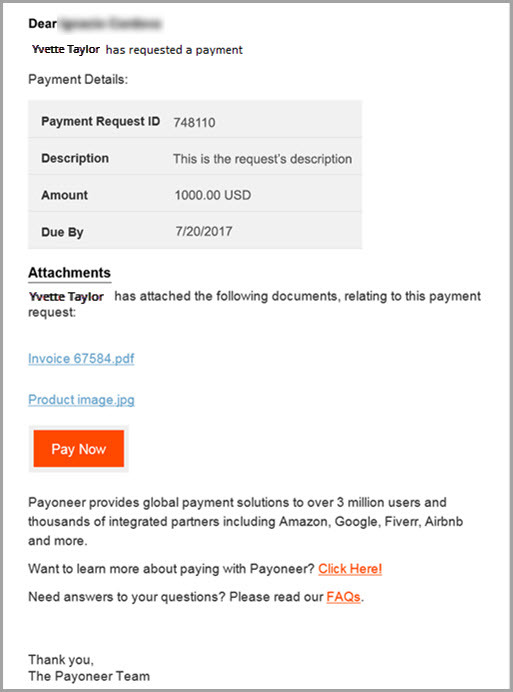 Do you receive payments from clients or business partners with Payoneer’s Make a Payment service? We’ve got good news for you! Starting today, you can send invoices, reminders, and manage your payments, while enjoying Make a Payment‘s free and fast account-to-account payment service. It’s FREE – Payoneer account holders can pay each other, without either side incurring any fees, ever. It’s FAST – Processing payments made between account holders typically takes only a few hours. It’s FLEXIBLE – Account holders can send each other funds from their office, kitchen table or exotic beach resort with the click of a button, day or night, 24/7/365. Now, account holders who enjoy this service will be able to request payments, track them, send reminders and attach files! Say goodbye to chasing payments by email or phone; let Payoneer’s billing tools do the work for you. Billing clients is easy with Payoneer’s Billing Service. 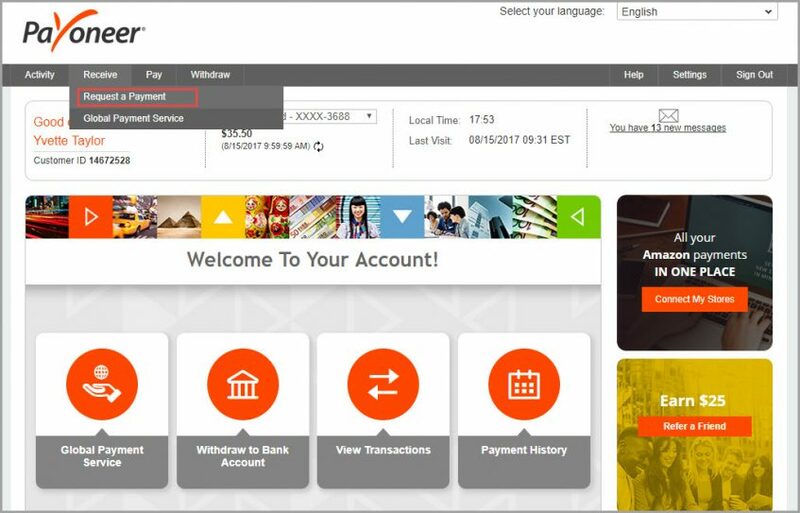 Now you can use it to bill Payoneer account holders as well. If requested, provide information that helps us verify your identity and line of business. After your details are approved, continue with the next step. 2. Click on Request a Payment. 3. Fill out the details of the payment, including the due date. 4. Attach an invoice, monthly report, or any other relevant file if you wish (you can create your own professional invoices for free with this tool). See the full step-by-step instructions and tutorial video here. 5. We’ll send your client an email on your behalf, with instructions on how to pay you. Your client will receive reminders of the pending payment request as the due date gets closer. 6. If your client is a Payoneer account holder, they’ll be able to choose to pay with their Payoneer balance. Once the payment is made by your business partner or client, you’ll receive the funds in your own Payoneer account within 2 hours, in most cases. The payment request, along with all the attached files, will be documented in the Payment History section of your Activity page. To read more about the service and requirements for eligibility, please see our full FAQ. Some transactions, such as selling goods directly to a consumer, are prohibited. Please see our Terms & Conditions for the full list of prohibited services.